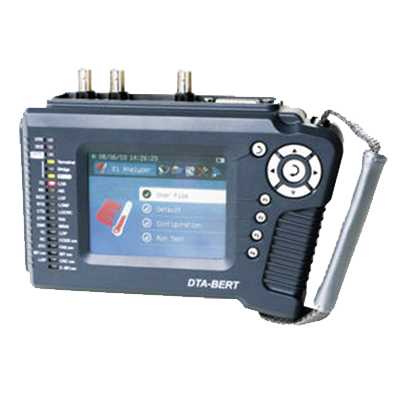 DTA-BERT E1/Datacom Transmission Analyzer can perform E1 transmission performance test (BERT) and status monitoring on data link (V.35, V.24/RS232, RS449, RS530, X.21). Model T can also perform G.703-64K bit error test, PCM31/30 test and Jitter test. Featuring comprehensive functions, easy operation and compact design, DTA-BERT provides total solutions for E1 line analysis and maintenance.